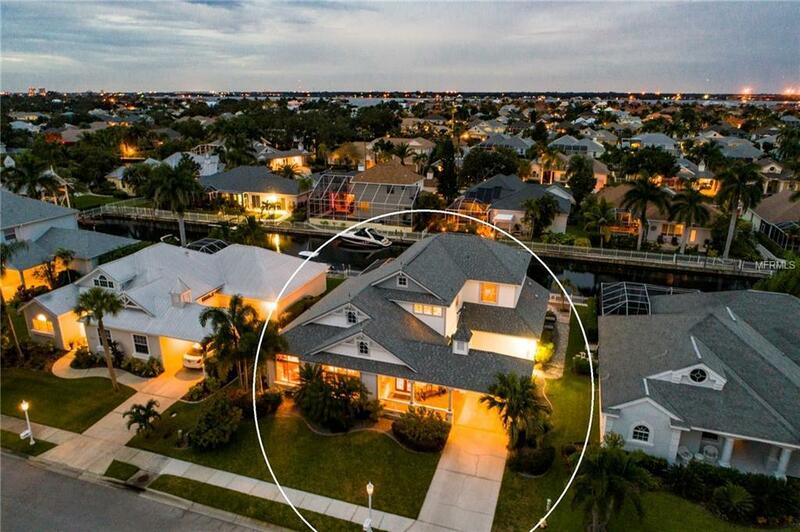 A waterfront dream is waiting for you in THE INLETS, a charming boating community with quaint streets, nature trails and more on the banks of the Manatee River ideally situated for a discerning boat lover! 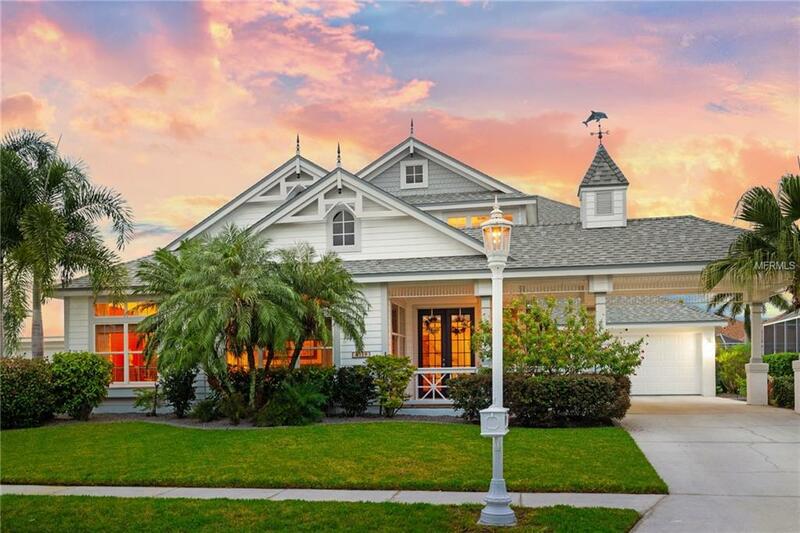 This charming Key West style waterfront home is perfectly infused with charm & coastal elegance, fully renovated using the highest quality construction and materials. 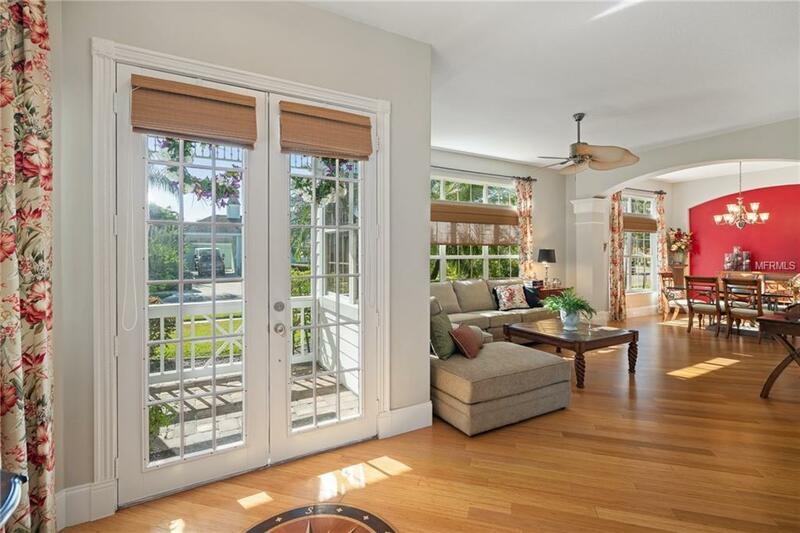 Simply move in and enjoy Florida sunshine at its best. (BONUS NEW ROOF 2018) FIRST FLOOR master suite upgraded with Bamboo flooring, halogen lighting, shoe closet, custom sinks, extra storage, large soaker tub, walk-in shower with dual showerheads. Custom kitchen offers commercial German-made appliances (Dacor & Miele) double ovens, pantries and pullouts, imported Brazilian granite, Danze faucet, porcelain tile, marble backsplash, seeded glass display cabinets and uplighting. Home is wired for cable and fiber allowing for 2 separate networks to be used simultaneously, on-demand hot H2O. 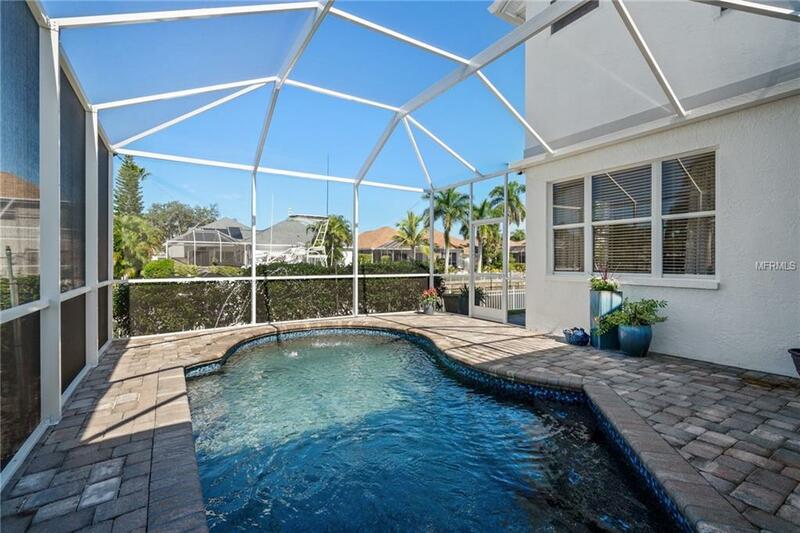 Tropical landscaping awaits you outside where you will find additional upgrades including lighting, upgraded pool cage, HVAC blowers 2017, glistening Pebbletec pool plus hurricane ties/straps for lower insurance costs. Located south of St. Pete & north of Sarasota, The Inlets community offers community park, playground, nature trails, tennis courts, fishing dock, canoe/kayak storage/launch, sidewalks, gas streetlamps, social activities...near I75, world-class shopping & dining, 3 airports. The more you learn the more you will fall in love with THE INLETS!